See here for the 2019 domestic meal thread. 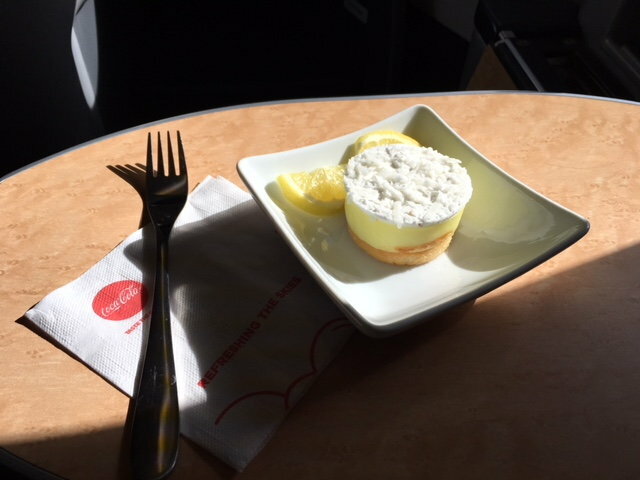 Note: this thread is about meals served on domestic AA flights. Welcome to the 2018 Domestic Dining thread and the resulting discussion/trip reports/photos/shared experiences. 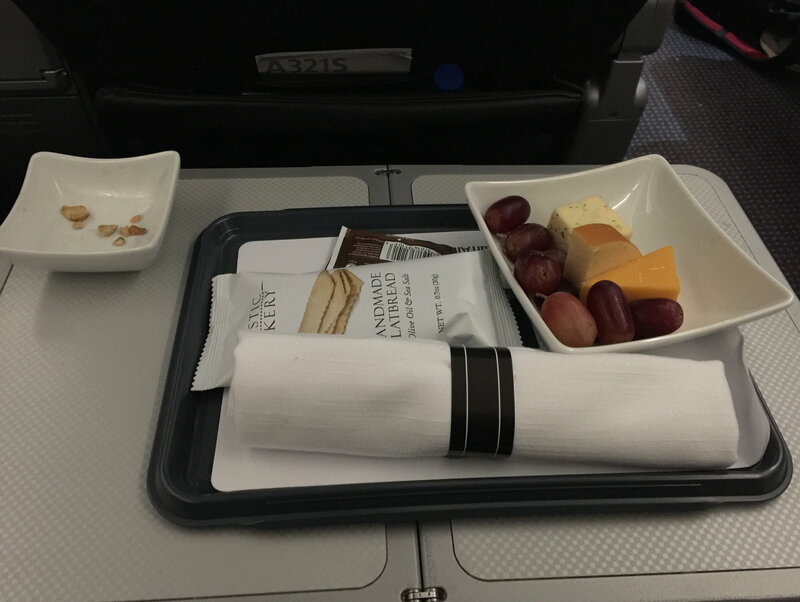 Here, in this wiki post, I'll strive to explain what you should expect on AA flights in First and Business, meals-wise. Keep in mind that there are many domestic flights, so there are quite a few parameters to keep track of. Welcome to the 2018 version of the combined AA meals thread, focusing on domestic service. Please post your meal/service experiences, including menus, photos, reports, questions, and service anecdotes. To help give us a clear picture of your experience, remember to include the route, time, and meal designation (breakfast/lunch/dinner/snack/refreshments/none). Photos are welcome and very helpful. Those are rudimentary guidelines, but of course, the format/style is up to you. For the 2018 International Meals thread, click here. I've got a flight coming up in January that's first class but it won't let me pick meals. Does that mean nothing's being served? WOuld be helpful if you post date and city pair. 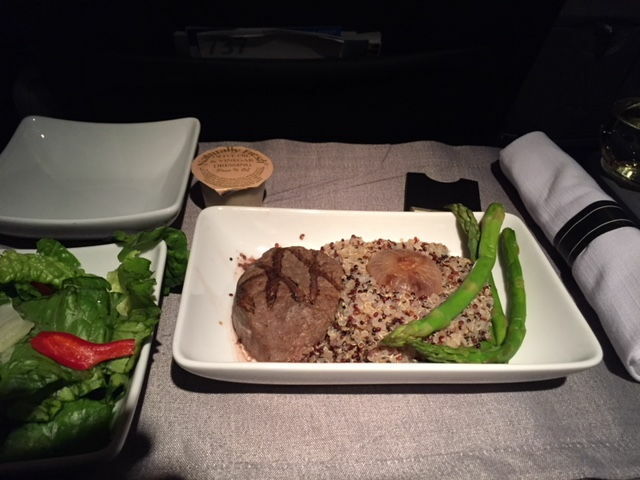 Any pics or descriptions of premium economy meals on Hawaii flights? I enjoyed the meal. Rest of family did not. Other option was cheese enchilada but it ran out pretty quickly. Greek salad with chicken or Lasagna. I loved the salad and thought it was fresh and healthy.....could barely finish the whole thing. Very nice service from this young crew! AA again blows DL away with in-flight service/meals on this route.....I'm sure I could have asked for whatever I wanted on the ground since this crew was so friendly, but wasn't a big deal. Anyone else having problems with the meal ordering system on domestic flights? I have three sets of flights within the next 30 days that have meals to be served. My early February flights I was able to pick the meals out for the outbound, but since the return has come within the 30 day window I now get an error that the ordering system is down and it has been for a few days now. Weirdly I am able to access my other flights this month where meals are an option so clearly the whole system is not down. Anyone else having problems with February flights? I wonder if it has anything to do with the new pre-ordering of special meals on domestics going forward? For statistical purposes, I found one pistachio and three pecans in my warmed nuts. 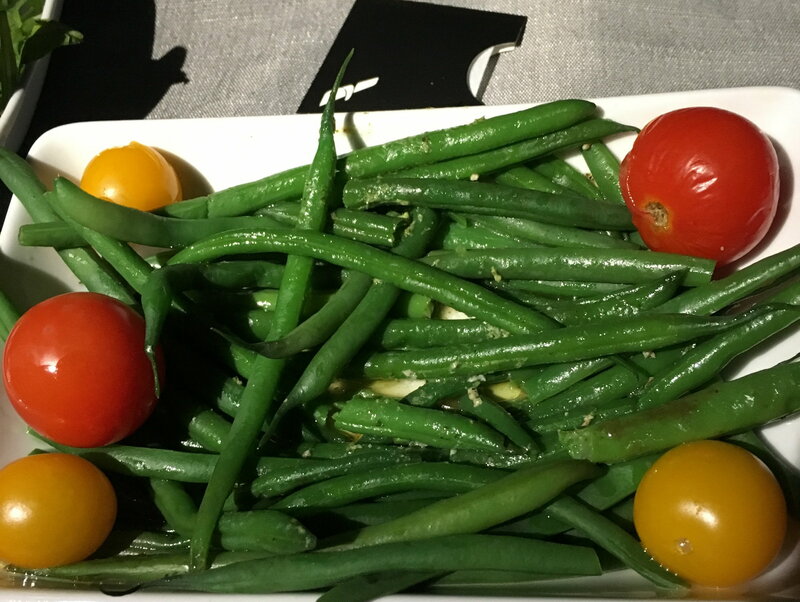 Chicken with green beans and tomatoes (I ate the chicken prior to taking the picture). There were green beans for days in this dish and seemingly no sauce, so I used the salad dressing. Choice of snickerdoodle or chocolate chip cookie for dessert. chrisny2 and railmatt like this. No PDB but I was pleasantly surprised to see something beyond the snack basket. Options were grapes and cheese or a cheese dip thing; both included crackers and a chocolate square. Warm nuts also on offer. 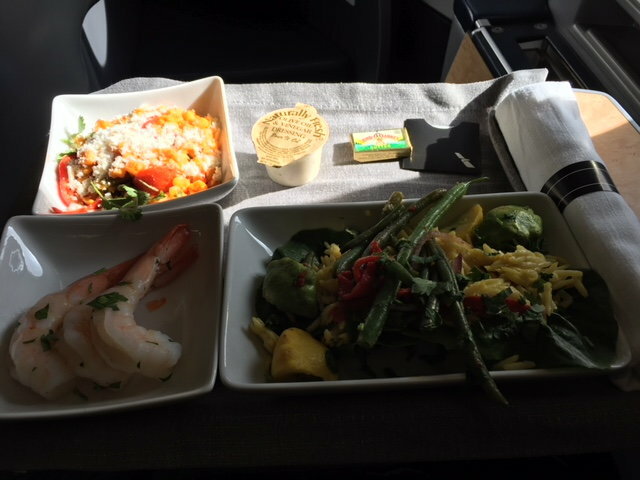 Premium economy DFW-OGG on 12JA17 was the identical boxed lunches served throughout coach, choice of Chicken or Vegetarian Wraps. Standard drink service as well. All we got was the seating, legroom, and Casper Pillow and blanket. As reported elsewhere on FT, only real difference for AA Premium Economy on the Hawaii routes is better seating and free alcohol. Hello, I’m looking at booking a 2:30 pm flight out of DFW to RSW and it shows lunch. Is this an error seeing as this is outside traditional meal times?